Michelle Shapiro brings more than a decade of experience in the banking industry to her role as Financial Services Industry Expert at Hyland Software. Her mission is to share best practices and evangelize the power of ECM as a tool for banks, credit unions and lenders to help automate paper-based processes and proactively manage regulations. What about New Year, new community bank? What better time to make a list of resolutions for your community bank? Specifically, think about what process improvements or technology enhancements could benefit your customers and employees. 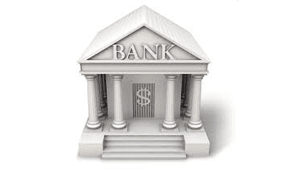 This blog post from Michelle Harbinak-Shapiro of Hyland Software provides a few ideas on ECM for banking to get you started. 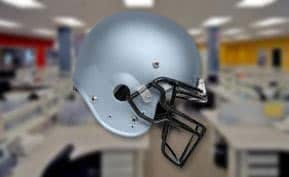 What do football season and ECM implementations have in common? More than you might think. Whether you’re a Fighting Irish fan or not, Notre Dame is also well-known for its superior game-day traditions that appeal to the masses. Most importantly – tailgating. Today’s leading enterprise content management (ECM) applications are capable of extending their solutions to mobile devices like smartphones and tablets, so managers can make important decisions outside of the office with all the information they need at their fingertips. This article catalogs how modern mobile ECM solutions cater to those needs. Historically, most financial institutions looked at document management – also called enterprise content management (ECM) –as a tool just for imaging and reclaiming storage costs by digitizing documents. But there is so much more that they can do than simply scanning, storing and retrieving signature cards and loan applications.